Electropop is something I could take or leave. Sometimes it can be really, really good. But there’s so much of it out there that the good tends to be diluted by the so-so or mediocre. Additionally, electropop lacks a certain complexity or unpredictability that really turns me on musically. So in general, the genre just doesn’t ring my bell. But I do try to approach it with an open mind when it crosses my path. Usually. I usually try. 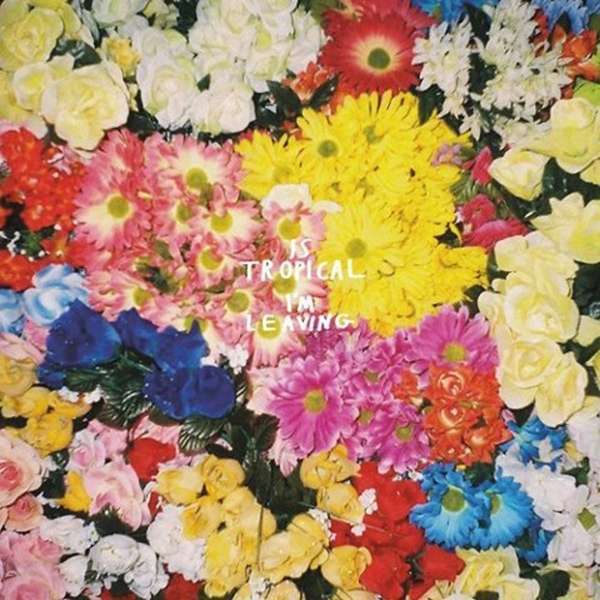 Is Tropical are a rare example of when I was unable to approach an album free of any preconceived notions. The problem started when I was looking at some background information on the trio from London. I quickly learned that they were signed to the record label Kitsuné. I remember thinking, “Wait, I thought Kitsuné was fashion…” Turns out I was right and wrong. The company is both a clothing label and a record label. To me, that just seems kind of… gimmicky. And that’s how I was feeling going into this. I wondered if there was any substance to IS TROPICAL’s latest album, I’m Leaving. Or was it all a ploy to make more money? I will say this: I’m Leaving isn’t bad. It’s definitely worthy of the dance halls it will inevitably fill. The poppy beats and playful synths will get you moving. Almost every track on the album is catchy and upbeat. The opening track, “Lover’s Cave,” even has a little edge to it that makes it something more than pop. The song “Lillith” has the same effect. Unfortunately, there isn’t a lot of depth to the album. After a while, the saccharine melodies and thumping rhythms wear thin. Though the notes and lyrics change, it just feels like more of the same. I’d find myself tuning the music out and letting my thoughts wander about halfway through the album. I just couldn’t stay engaged. I also noticed a slight resemblance to Vampire Weekend a few different times throughout I’m Leaving. And while I actually truly enjoy Vampire Weekend, I’m not interested in imitations of the band. The most surprising track on the album is the last one, “Yellow Teeth,” which is just over seven minutes long and seems to be about a werewolf. The tempo is slower and the harmonies are sweeter than everything else on the album. It’s more contained than the rest of the songs on I’m Leaving and it just comes off as more thoughtful. Is Tropical were actually a pleasant surprise for me. Due to my own prejudices with electropop and the idea that this album was released by a clothing line slash record label, I was prepared for some hastily assembled crap that would leave me unsatisfied. What I found instead was an okay album with a few shining moments sprinkled in. I’m still skeptical about Kitsuné and their record label; I don’t think I understand how IS TROPICAL’s music really ties in with Kitsuné’s fashion. But I suppose musical commercialism is a thing that happens now, and maybe we should all get used to it.